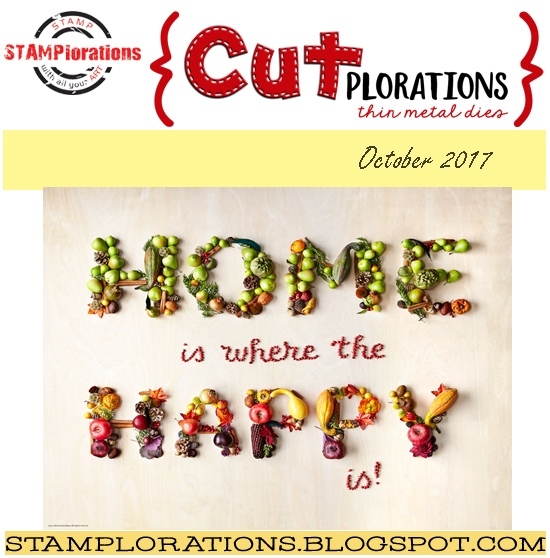 the CUTplorations challenge is back from its summer break and since its now fall we have the right inspiration picture for you! I pieced together different patterned papers and die cut the words. Added the little flowers from the Frames and Flowers set and ran it through my Big Shot with the Stitched nesting die. Looks awesome! 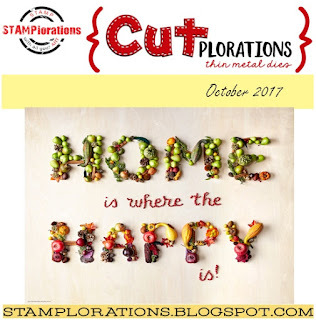 Love all the little images in the pattern paper that you've used for that gorgeous die cut sentiment! Such a clever, beautiful translation of the photo, my friend! The little flowers are a charming special touch! Inspiring, indeed! What a bright and cheerful Birthday card Cornelia. 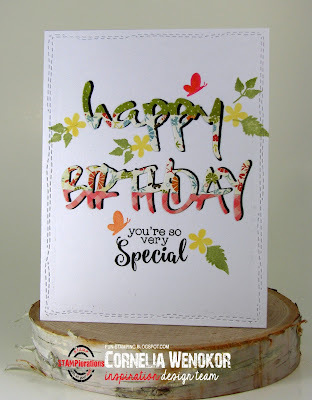 Love the DP you chose and how you added on from the HB dies. So pretty. OMG...Your take on the inspiration pic is perfection. 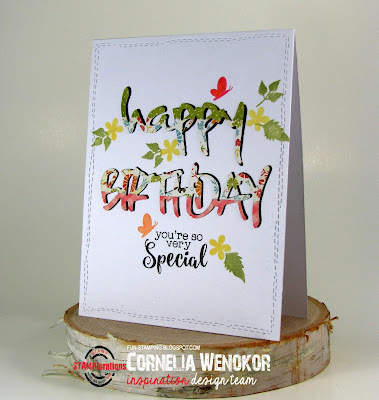 The addition floral stamping really takes the card to a different level. So sweet. That is a beautiful birthday card with those dies.